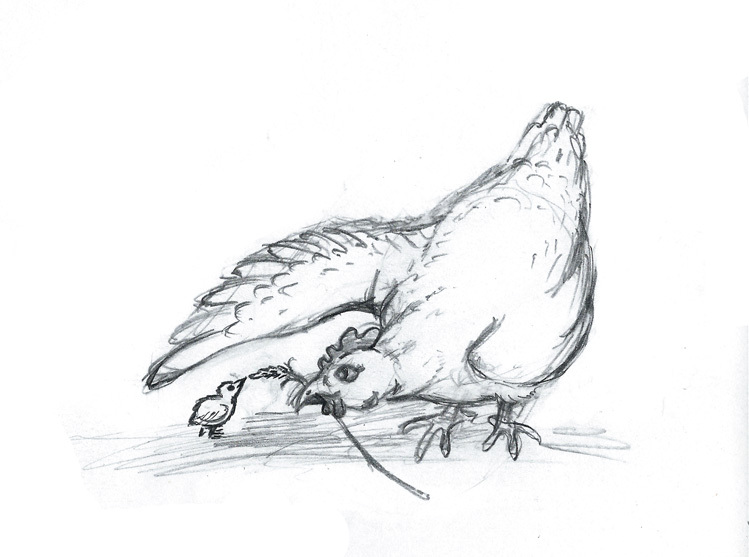 It took quite a lot of erasing and revising to arrive at this sketched image, but I think it now reads like a real animal with personality. When I think of hens, my first mental impression is the classic red comb and white feathers image, but now that the city of Nashville is allowing residents to keep chickens in their yards, many of my friends have been posting images of their chickens on Facebook and I’m now aware of the wide variety of feather colors and patterns that chickens display and decided to use a more interesting coloring and pattern for this hen. I’m very pleased with the final results. 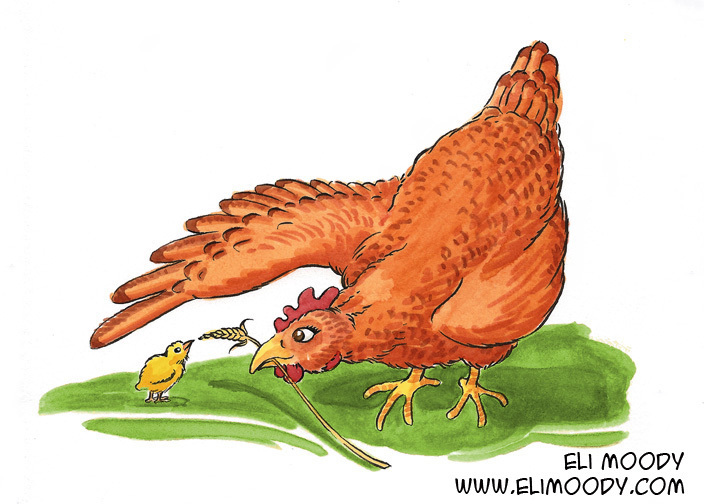 This entry was posted in illustration and tagged animals, chick, chicken, eli moody, hen, illustration, pen and ink, pencils, watercolor. Bookmark the permalink.